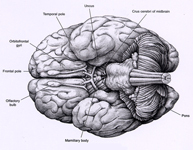 ::: Brain Maps ::: Brain Anatomy, Functions and Disorders - Brain Research and Illustrations. Please move your mouse over the image and follow the links that appear (rough allocation only). Or to transfer your donation to the following account: IBAN: DE66 8605 5592 1852 1753 18, BIC-/SWIFT: WELADE8LXXX, Account holder: Marie Lehmann. Thank you very much for your support! The following table shows the brain regions from the cortex to the brain stem with their functions and associated disorders in English, German and Latin. All references (mainly links to abstracts) are only given in place of many other studies that point towards the same function or disorder. Neither do they represent the first nor the only or most important or valid finding in this area. Their main purpose is to encourage further study on these subjects. Our selection of a specific reference does not represent an evaluation of the respective study or finding per se or in comparison with other studies. If you feel that we have omitted an important study, function or disorder that should definitely be included in the relevant section, or if you have any questions, comments, additions or objections, please feel free to send us an e-mail. Thank you for your interest! 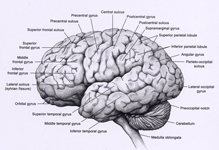 Please click on the little pictures or links to learn more about a specific brain region (BA=Brodmann Area). One click on 'S' will lead you to the source (this will open a new tab or window). Please excuse any potential mistakes in spelling or grammar. This site was developed by a German who then translated it into (hopefully readable) American English. You might like this too: Open Colleges' interactive 3D Brain. Picture: Brodmann Areas and their functions. Please click to enlarge. * Left hemisphere: Speech functions like comprehension, naming, verbal memory u.a. Only the following parts of the Limbic System are located in the Medial TL: Hippocampus, Dentate gyrus, Parahippocampal gyrus and Amygdala. 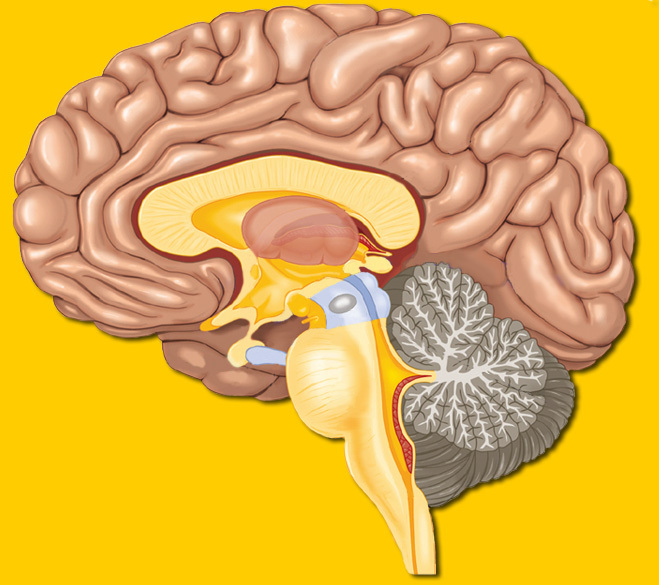 Thalamus, Hypothalamus, Pituitary gland, Fornix and Mammillary body are integral parts of the Diencephalon. 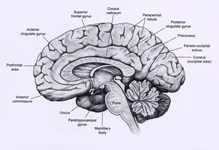 Both the Olfactory bulb and the Cingulate gyrus also belong to the Limbic System.